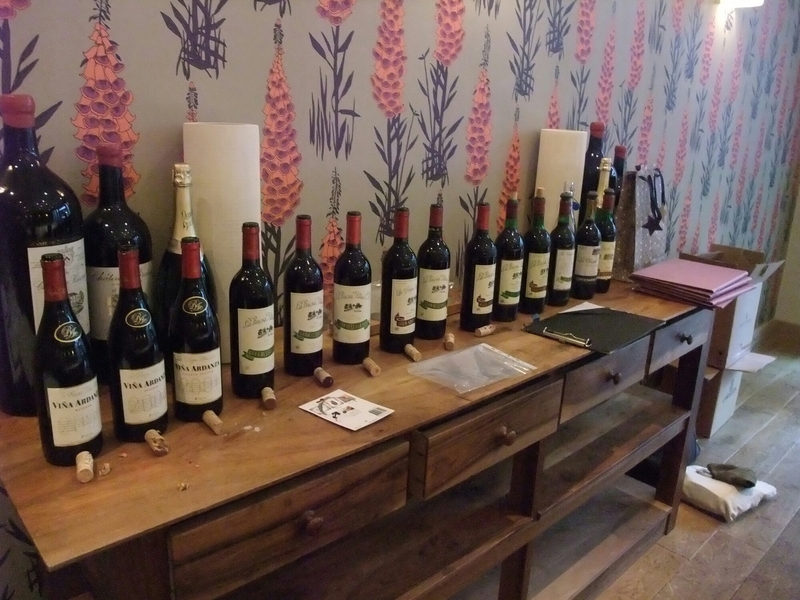 After the car crash of a meal at Browns, it is nice to report on an altogether more uplifting experience in the form of a tasting of the wines of that stalwart of Rioja, Bodegas La Rioja Alta S.A. The very large added bonus was that the tasting was led by their wine maker, Julio Saenz. I am a somewhat infrequent attendee at the many and varied wine tastings organised by the Jeroboem Club in Bristol, a wine tasting club full of people including my father who know 10 times more about wine than I ever will with me generally the thicky in the corner. There, however, was no way I was going to pass up a chance to taste wines spanning five decades from one of my favourite Rioja producers, especially when it comes with the insight of the chap who currently makes the stuff. 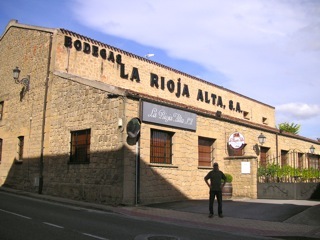 La Rioja Alta is a family run winery established in 1890 and based in Haro, with the winery being in the Barrio de La Estacion. It sits opposite the arch traditionalist Lopez de Heredia and is just down the road from the modernist producer Roda. I would say it sits between the two in terms of the wines it makes. 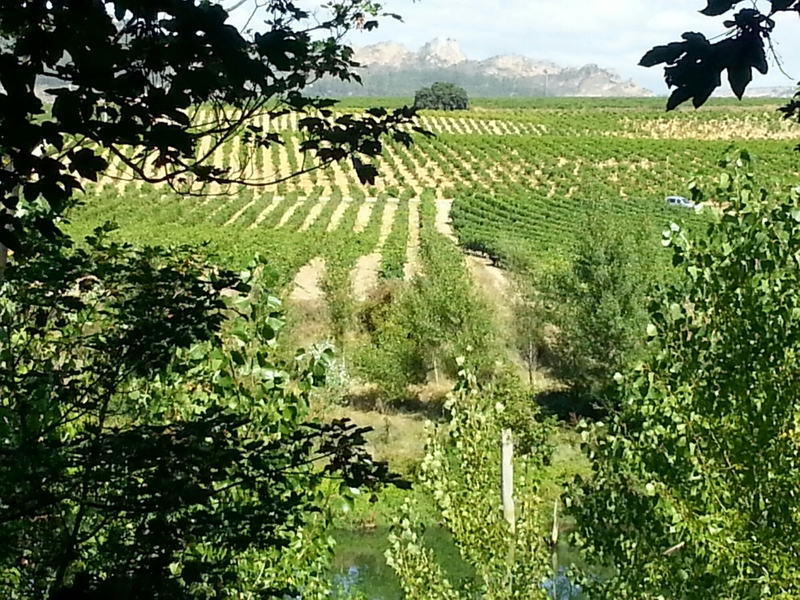 La Rioja Alta’s wines are based on traditional methods, but are made using state of the art technology. 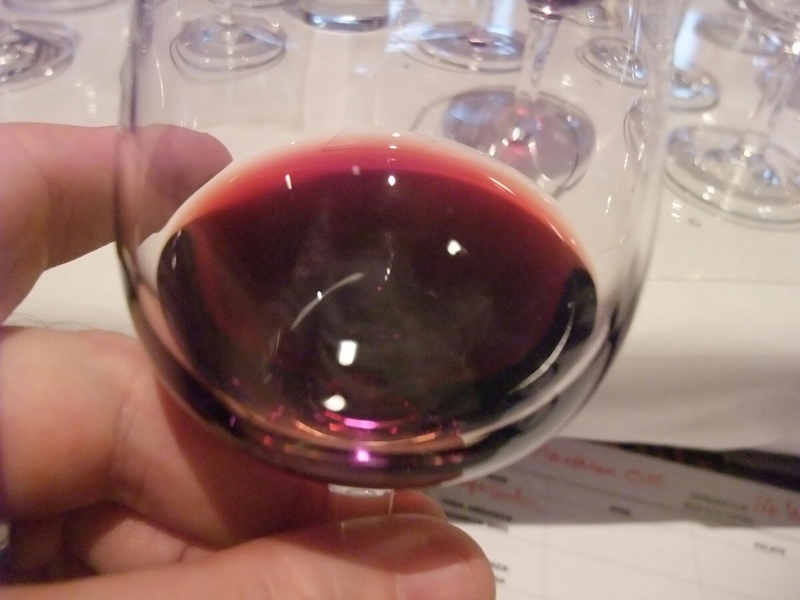 The Rioja wines they produce (the company having wineries elsewhere in Spain) are all reds and all at least reservas (so aged for at least 3 years, 2 of which must be in casks – here American oak – before release). The entry level wine is Vina Alberdi (2 years in casks and 2 years in the bottle) with the venerable Gran Reserva 890 ( aged 6 years in the casks and at least 6 years in the bottle before release) sitting at the top of the pile. In between you have Vina Arana, the aforementioned Vina Ardanza and the Gran Reserva 904. I have noted on their website there is also a Marque de Haro wine, which I am not familiar with. So belatedly to the tasting, which involved 14 wines spanning 5 decades. We started off with a flight of three Vina Ardanzas (aged 3 years in American oak casks and at least 2 more years in the bottle before release ) from the first decade of this century. Whilst this wine is labelled as a reserva it is aged enough to qualify as a gran reserva. Grapes used are tempranillo (80%) and granacha. A solid if unspectacular start, this wine felt a little young to me. Whilst quite fresh there were some hard tannins and the flavours were those of red fruits that were a touch unripe. Good, but to me it needed more bottle time. This felt like a much more mature wine that the 2005, with more integrated tannins and riper fruits. I got lovely black fruits, with spices including clove and vanilla. Very good and likely to get better and better as time goes by. One of only 3 Vina Ardanza vintages given the “especial” title (the others being the 64 and the 73 – try and find those and if you do please tell me where !!!!). This was (to me) the best of the 3 Ardanzas (although in time the 2004 may give it a run for its money). It had a lovely spiced fruit nose and on the palate it had smooth tannins and good length. The flavours were of warm toasted spices, including cinnamon and ripe dark fruits. A lovely wine. Very good +. Next up were two Gran Reserva 904s. The 904s spend 4 years in American oak casks and then at least 4 more years in the bottle before release. The grapes here are tempranillo (90%) and graciano. 904 is one of my favourite Rioja wines. A magnificent start to the 904s, this wine have lovely aromas of sweet (almost candied) fruit. On the palate there were smooth tannins and an initial taste of sweet red fruits (and then to me a back note of mint). The wine had great length and developed in the mouth, with spice then coming to the fore. A beautifully structured wine. Very good ++. First dud of the night. 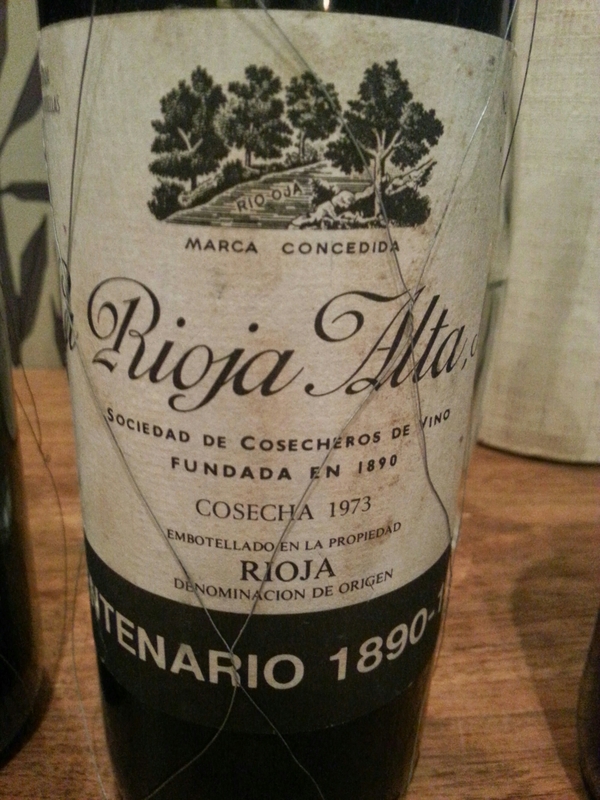 Oxidised – always a risk with old Riojas, but this is not particularly old. According to the tasting notes this should have been a real treat with candied fruit as against a balsamic, spicy, leathery background with hints of coffee and chocolate mint. Sounds rather lovely. To me this smelt a bit hot (I know that sounds odd), but the reference in the tasting notes to mentholated chocolate could explain this. On the palate I was a bit underwhelmed, with the slight cooked theme continuing and the fruits present (not much) being dried out. Possible a fault with this wine. OK, but not much left to give. I have bottle of this so it may be drink up time. Enter the first of Gran Reserva 890s, wines aged for 6 years in American oak and at least 6 years in the bottle before release. The 904 is a mix of tempranillo (95%), graciano and mazuelo. This was more like it, after the disappointing 904. Lovely nose of spice, vanilla and rich fruits, as well as leather. Classic Rioja. More of the same on the palate with silky tannins and candied fruit added to the mix. Great length on this wine which developed nicely in the mouth. Very good +++/excellent. Another lovely wine. Almost burgundian (touch of the farmyard) on the nose, with ripe fruit flavours on the palate and a back note of vanilla and spice (cinnamon). This had great length and a lovely mouth filling quality. 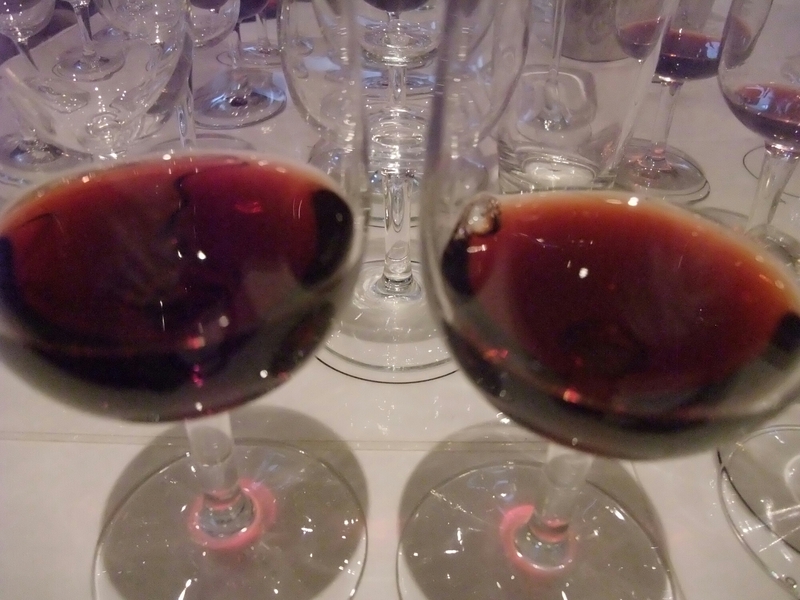 In my top three, but for me just lacking the complexity of the 1995 904 (others disagreed, but that is the beauty of a tasting – we all like different thing). Excellent. This was a bit disappointing. I thought it was a touch oxidised and there was not much to write home about aroma wise. On the palate this was bit dried out, although some orange/citrus flavours came though. OK, but on the way out. This wine is a one off and what a one off it is. It was released in 1990 to celebrate 100 years since the winery’s formation. The grapes used are mainly tempranillo (85%), with graciano, mazuela and viura added to the mix. It is aged 2 years in wooden vats, 10 years in 18 to 20 year old American oak barrels and had had 29 years in the bottle when we opened it. This wine was quite simply stunning. Lovely aromas of meatiness and leather were followed by beautifully fresh flavours of baked orange and spices. It had great length with these flavours persisting for an age on the palate, intensifying rather than diminishing sat in the mouth. I absolutely loved it. Excellent+\Superb. 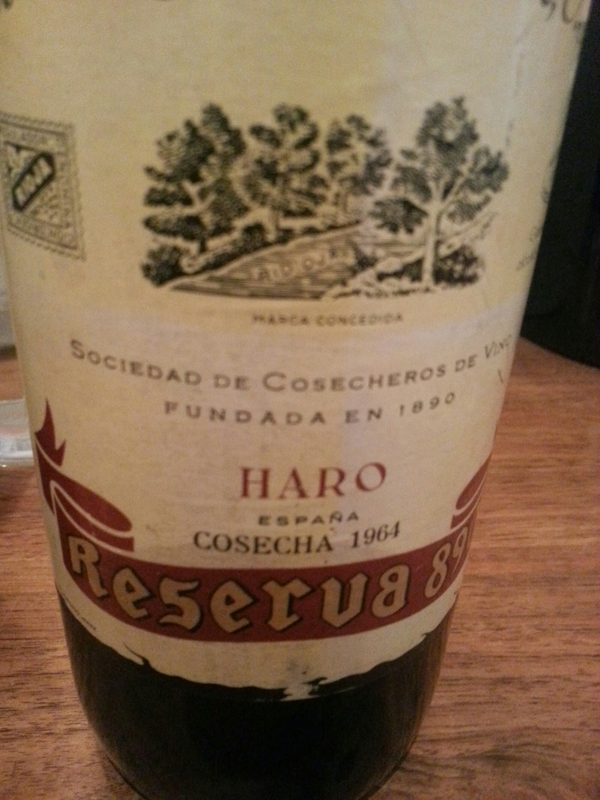 1964 was a stellar vintage for Rioja wines and I was really looking forward to this wine. On the nose there wasn’t much. 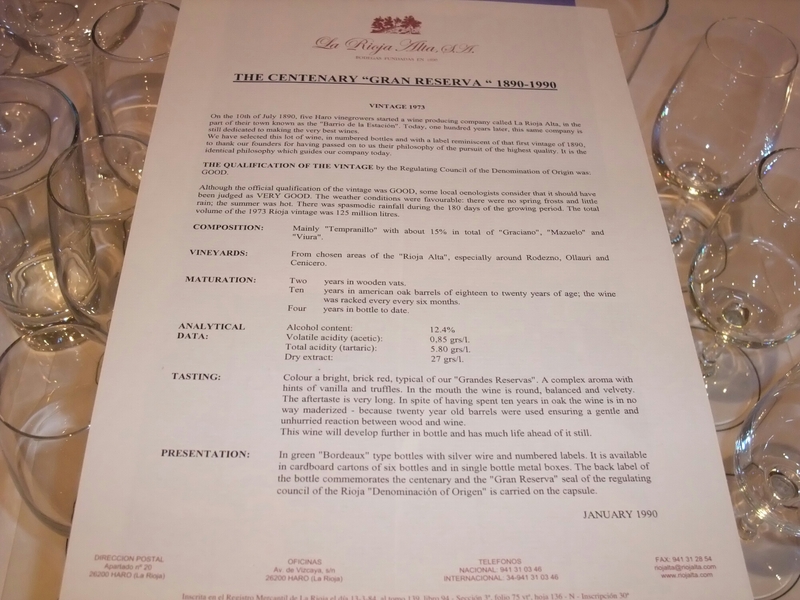 On the palate there was baked orange, but not with the intensity of the Centenario. I am a child of the 60s and a bit like me this felt a little tired and world weary at this stage of its life. Nice enough, but past its best years (again a bit like me). Very good. A great evening with good and knowledgeable company and lovely wines. A big thank you to Julio Saenz and Francisco Corpas from La Rioja Alta S.A. An equally big thank you to John Chappell who supplied most of the older wines (many of which are nigh on impossible to get hold of these days) from his own collection (one I would kill to get my hands on). 3rd – Gran Reserva 890 1995. When taking price into account, the best value wine for me was the Gran Reserva 904 2004. In terms of buying, I think this wine and also the Vina Ardanza 2004. I also always pick up a bottle or two of the Vina Ardanza 2001 when see it. The event was at held at Bordeaux Quay in Bristol and was followed by a pleasant dinner with 3 more La Rioja Alta S.A. group wines, including a lovely Lagar de Cervera Albarino (from their winery in Galicia). I will, if I get time, post a separate blog about the meal and those wines. This entry was posted on May 31, 2014 by solicitingflavours in Food and wine products, Outside Wales, Red Wine, Rioja, Spain, wine.